I purchased the small pan for my husband. He cooks up scrambled eggs every morning as part of his breakfast ritual. The stirring he does for those eggs every single morning was too much for every other pan I have purchased. This pan appears to be the one. Very well built with a great surface and instructions on how to keep it in great condition. First cooking experience was perfect only time will tell how it will hold up, but I am very pleased. The above quote is from a review by a lady in South Carolina, USA, of the 20cm Lotus Rock frying pan. She had purchased it from the website of a well-known and highly respected kitchenware company which sells high-end items, including the Lotus Rock frying pan with the Zurich handle. As can be seen from the quote the lady was quite clear that other fry pans she and her husband had purchased before could not match the quality of the Lotus Rock fry pan. She was specific about the reason: Lotus Rock frying pans were superior because of their ability to cook scrambled eggs well, and to do this on a daily basis over a long period. But why did other non-stick pans have difficulty cooking scrambled eggs? And why did this particular couple from South Carolina, who quite evidently have a lot of experience in cooking scrambled eggs, come to the conclusion that a Lotus Rock fry pan is ‘the one’? In order to answer both questions it is relevant first to understand the science behind cooking eggs. Eggs are primarily made of protein molecules, and these are made up of many strands. 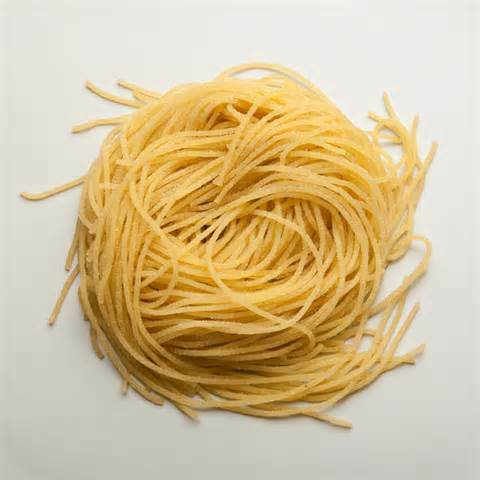 Before an egg is cooked these strands are bound up very tightly, just like a bundle of angel hair pasta. However, when the egg is cooked these protein strands begin to unwind, and although when they bump into each other again they do stick, they do so much less tightly. So while heat is being applied to the pan, the strands of the egg form another structure, with an appearance much like a spider-web. 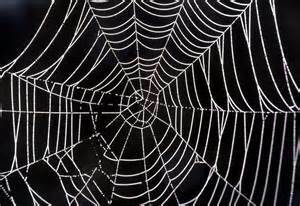 This web is dense enough to prevent light from passing through, which is why cooked eggs whites are white in color. The web also traps moisture, which is why eggs cooked to just this point are moist and tender. However, if you keep cooking the eggs too long, the protein strands once again become unstuck from each other, the web dissolves, and all the moisture flows out. Therefore, in order to cook delicious tasting scrambled eggs, the eggs must be cooked just long enough to make them tender and solid, but not so long that they lose their moisture and become tough. Earlier this year a fried egg test was conducted to compare a Lotus Rock frying pan and an aluminum PTFE frying pan. The test showed that the Lotus Rock frying pan, made from carbon steel, cooked the egg much faster than the aluminium pan. Cooking with the Lotus Rock fry pan not only saved time and energy, but also meant the egg’s protein strands were able to transform from an angel hair pasta-like bundle into a spider web-like structure much more quickly, making it crispier and more succulent to eat than the aluminum pan fried egg. By the time the aluminum pan egg had been fried it had passed the optimum time period during which the protein strands were most like a spider web (i.e moist & tender). The extra cooking time and the subsequent resulting moisture loss gave this egg a more rubbery texture, less appetizing to consume, than the Lotus Rock fried egg,. 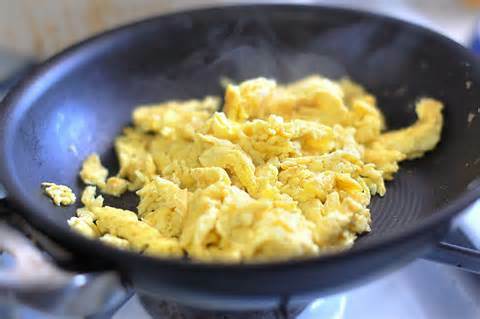 A Lotus Rock pan might cook scrambled eggs much faster than an aluminum pan, but doesn’t that mean it might heat the eggs too quickly and cause them to burn? It is true that when eggs are heated too quickly or with too hot a flame, the proteins in the eggs bond together too extensively and form clumps, curdling the mixture. However, all Lotus Rock pans are produced with a thick carbon steel gauge, 2.0mm, which means that as long as a low-medium heat setting is used, the fast heating effect will be dispersed, but also retained within the pan, creating an excellent all-round heating effect for delicious scrambled eggs. But since eggs have a high protein content, won’t they easily stick to the Lotus Rock pan? One of the significant innovative features of Lotus Rock is that it has a natural non-stick release, with no PTFE or other non-stick chemical on the pan. As long as the consumer adds cooking oil before each use, which will permeate the silicon-oxide crystal coating, the eggs will fry quickly but without sticking to the pan. If the silicon-oxide crystal coating is permeable to cooking oil, won’t the egg mixture get inside the coating and make the pan difficult to clean? No, because although the nano-silica coating is lipophilic (fat-loving), it is also hydrophobic (water-hating). This extremely innovative, high quality coating means that the pan is less hassle for a consumer, as it can be cleaned easily after each use. The reduced amount of scrubbing also increases the pan’s durability.